This is a sponsored conversation written by me on behalf of Michelob ULTRA. The opinions and text are all mine. A few weekends ago, I traveled out to Scottsdale, Arizona to experience the very first Michelob #ULTRAFitFest! It was a weekend full of fitness activities, informative panels, recovery, live music, and more! It was actually the weekend before my wedding, but it was everything I needed to sweat out any remaining stress and recover for the big day. I got in on Friday and immediately went to a Gluteus Maxout class. I thought classes would be toned down because the weekend would be jam-packed full of fitness classes, but nope… that workout really set the tone for the whole weekend. I was SO sore the next day! The whole experience was so cool because we got to pick and choose our classes through an app. You could customize your experience to be as active or relaxing as you wanted it! For example, one of my days started with Y7 Yoga in the morning, then a panel about Building Your Best Runner, a training camp, recovery at the Manor House where I got my hair braided, a nutrition panel, the WaveMaker workout with Gerren Liles and BODY by Kenny Santucci, and a fireside chat with Jera Foster-Fell about Defeating the Odds. This was all before Pure Golden Hour, a celebration with Michelob ULTRA Pure Gold! 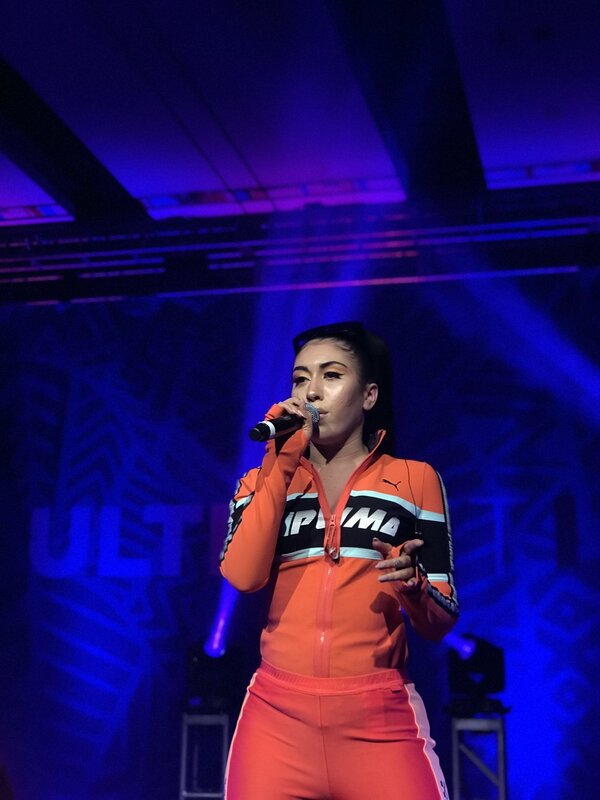 We also got to see a live performance by Kali Uchis! We also had delicious, healthy breakfast, lunch, and dinner every day. Not pictured: barbecue, rice, beans, salmon, zoodles, and more… it was all so good! There was also an awesome pool party, but I didn’t get to jump in because I didn’t want tan lines before putting on a wedding dress! I wish I could have taken so many other classes too, like outdoor City Surf or the meal prep cooking demo, but spots filled up fast. I’m super passionate about fitness and nutrition, so I had an amazing experience. I worked every muscle in my body and was able to walk away with more knowledge about running and nutrition. I can truly say that this fun-filled weekend made both my body and mind extremely happy. I’ll look forward to next year’s annual ULTRA Fit Fest! I wish I could’ve brought my camera around more, but below are some great shots by LYVISUALS!